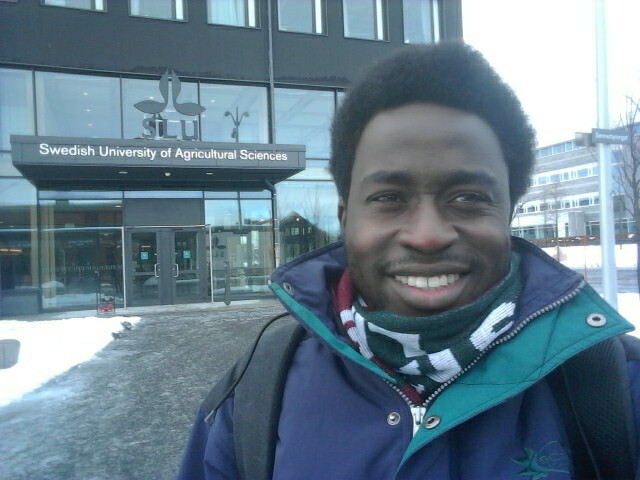 I was overwhelmed with great joy when I received an email in December 2018 that I had been selected to take part in the bioinformatics course at the Swedish University of Agricultural Sciences, Uppsala Sweden. It was supported by the CONNECTED-network and it was simply answered prayers. I had applied alongside over 90 well-qualified young African researchers and, being one of the two selected was awesome for me. Going through the visa process brought logistic challenges but I eventually was able to travel for the course. My very first challenge was the weather: I arrived in the middle of winter and it was indeed freakily cold! But alas, I found a way to cope and I managed to pull through. The course was very intensive and exciting. My background as a molecular plant virologist was an advantage as it put me on a good footing towards understanding the bioinformatics basics. The next challenge however was with the computational tasks: learning Unix terms/codes from scratch and writing command scripts. With zero coding skills, I had to learn this ab initio but I was able to pick it up really fast due to my personal zeal for learning. 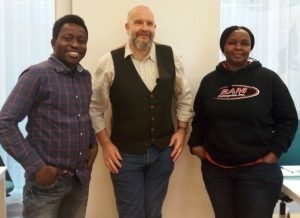 As previously stated, this was easy because of my background partly at the Virology and Molecular Diagnostics Lab in IITA, Ibadan, Nigeria under the supervision of Dr. P. Lava Kumar. I will always be grateful to Dr. Kumar who exposed me to basic bioinformatics tools during my training as a PhD student. This made me easily understand all we were being taught. All our classes were fantastic. They all contained top notch, quality teachings and it was an experience of exposure to world class knowledge. The real-time, hands-on approach employed by the tutors was excellent. From the experienced, world-class Erik Bongcam-Rudloff to brainy, gentle-talking Hadrien Gourlé, ever-smiling Juliette Hayer, snazzy Adnan Niazi, and succinct Jacques Dainat, the deliveries were of the highest standard and second to none. I was satisfied with the interaction I had with all the tutors. All activities (lectures, online tutorials, class assessments, assignments on CANVASS, group discussions and projects, presentations and examinations) were tailored towards imparting new knowledge, learning by practice and showing creativity with different skills. The social climate was also very positive as my classmates were all wonderful people. Interacting with young people from different background was an experience I will always cherish. We were indeed multi-cultural: from Nicaragua to Belgium, from the Chinese-Mongolian border to tropical Tanzania, from Tennessee USA (home of the famous Jack Daniels Whiskey) to the Great Pyramids of Egypt, the Iranian peninsular to the vast Portuguese coasts, the beautiful UK Isles to the Russian-Siberian cold. I enjoyed very deep interactions that will last with me for a very long time. In summary, this course was an excellent one and has already transformed my skills forever. All the trainings were indeed valuable as I was exposed to world class teachings. Back home, there was a dearth of skilled bioinformaticians that could handle big molecular data. Also, our curriculum does not adequately cater for this. The course has changed this narrative completely. I consider myself very lucky, and blessed to be a part of this training. I strongly urge that it should be sustained because Africa still lags behind in terms of bioinformatics infrastructure and man-power. More needs to be done towards training scientists and researchers. I will do my own part towards spreading the information as much as I can. I have had very memorable moments and good interaction which I will deploy into use once I am back at my home institution. 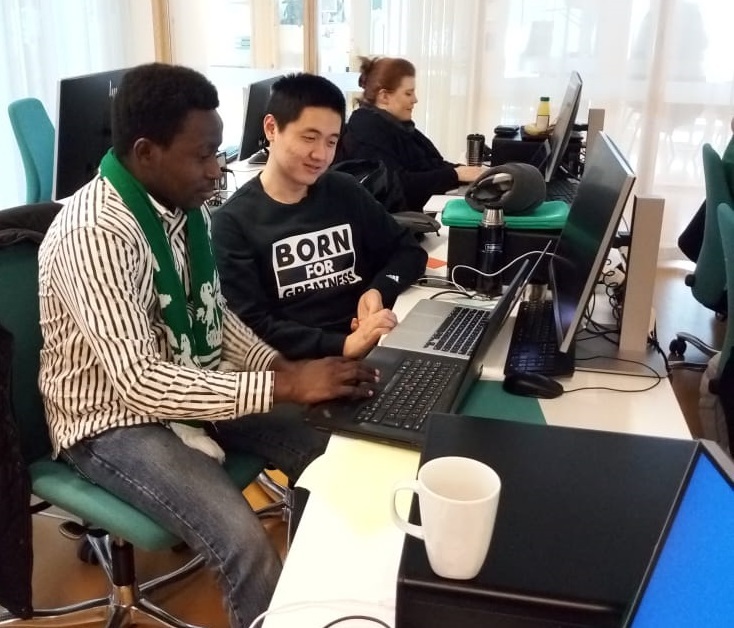 I hope to influence my students with the knowledge and skills I have learnt, while also collaborating with professional colleagues and other bioinformaticians. Our research themes will also improve for the better. I also hope to spread the CONNECTED message via seminars, workshop and training courses. In all, my aim is to transfer this knowledge to as many persons within my reach as possible. However, you won’t be able to benefit from this type of training if you don’t join the ever-growing CONNECTED Network. You should consider joining this big CONNECTED family: it is completely free and many opportunities abound for career development. You won’t regret it.